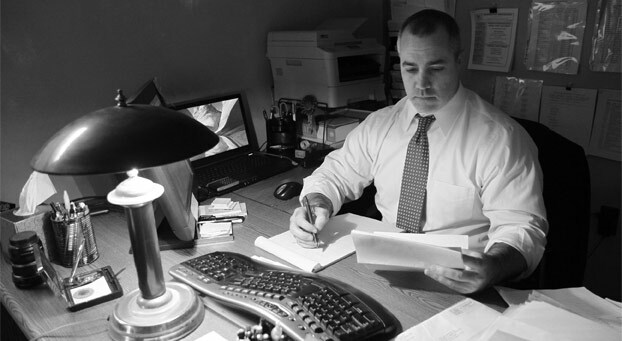 Divorce Filings | Law Office of Andrew A. Bestafka, Esq. Singers Mandy Moore and Ryan Adams are mutually ending their marriage of almost six years, according to a report by The Daily Mail on Friday, January 30. Divorce papers filed by the “Tangled” star’s ex-partner on January 23 show that the two have been living separate lives since August 4. In a joint statement, the 30-year old actress and the 40-year old indie rock star said they are splitting in good terms, and have also asked the media to respect their privacy. A friend close to the ex-duo told the media that they had not been close to each other for a long time. The two started dating in late 2007 before tying the knot in March, 2009. Divorce can be difficult and you want to make sure that you have a legal team that cares about your case. At Law Office of Andrew A. Bestafka, Esq., we believe that each divorce is different, and that each client has his or her own specific needs. If you need the service of a reliable and sensitive divorce attorney in Monmouth, speak with our legal team by calling (732) 898-2378 today. After marrying Courtland Roger in 2012, reality show star Jenelle Evans’ divorce was finally finalized, the Mail Online reported on June 10. The divorce of the 22-year-old mother was determined at a court in North Carolina. Evans, who is nine-months pregnant with her second child, made her divorce public on Twitter, stating that she feels very happy and free. North Carolina’s current divorce law requires couples to be separated for one year before filing for divorce. However, this is not the case for many other states. Because family law varies from state to state, it is important to seek legal assistance from lawyers who know well the intricacies of family law in their area. Backed with family law experience helping residents of Middlesex, Monmouth, and Ocean Counties achieve favorable divorce results, our team at the Law Office of Andrew A. Bestafka, Esq. is equipped to legally assist you in your divorce needs. Call us at (732) 898-2378, and discuss your situation with us today. American Idol 5th season runner-up Katharine McPhee decided to end her marriage after six years with her husband Nick Cokas, a report by the Daily Mail revealed on May 22. According to the article, McPhee’s publicist stated that the couple continues to have a positive relationship, and they will remain friends despite their marriage dissolution. The publicist also said the couple wishes to maintain privacy during their divorce proceedings. According to documents in the divorce filing, the American singer-songwriter and her stage producer husband were already separated when McPhee was seen kissing Smash director Michael Morris last October. McPhee also allegedly wishes to keep all of the money she earned since the date of separation. For many years, our lawyers at Law Office of Andrew A. Bestafka, Esq. have been helping Monmouth County couples file for divorce and achieve favorable divorce results. Call us at (732) 898-2378 to learn how we may assist you during this difficult time. After more than 10 years of marriage, ex-celebrity couple Courteney Cox and David Arquette were officially divorced at the end of May. Records show that the couple filed for divorce in June 2012, the day that was supposed to be their thirteenth wedding anniversary. According to many media sources, the couple has been amicably proceeding through their divorce, perhaps largely due to concern for their 9-year-old daughter, Coco. During Cox’s guest appearance in “Ellen,” she said spoke positively of Arquette and their relationship, both past and present, in general. Learn about how to make your Monmouth County divorce go as smoothly as possible by talking with a lawyer from the Law Office of Andrew A. Bestafka, Esq., at (732) 898-2378. Our legal team can help you make sure your interests are protected and you don’t feel overburdened throughout the process. Tina and Joe Simpson recently announced that they will be ending their 34-year marriage after Tina filed for divorce in Texas. Joe and Tina are the parents of Jessica and Ashlee Simpson. Tina Simpson officially filed for divorce on Sept. 24, and court records show that the papers state “discord or conflict of personalities” as the reason for the divorce. Before divorce papers were filed, rumors alleged that Joe was having an extramarital affair with a 21-year-old male model. Representation for the Simpsons has stated that theses rumors are untrue. The family’s rep went on to say that the split is “amicable” and that the family is asking for privacy during this difficult time. A source also told reporters that Jessica Simpson is “very sad” about her parents’ divorce. Dr. Paul Nassif and his wife Adrienne Maloof, stars of the reality television show The Real Housewives of Beverly Hills, have separately filed for divorce. According to Us Weekly, the couple has decided to end their 9-year marriage, citing irreconcilable differences as the reason for the divorce. After filing for legal separation, Maloof stated that she wants full physical and legal custody of their three boys. However, the couple is currently trying to decide what is best for their 9-year-old son and twin 6-year-old boys. If you are considering a divorce, you need an experienced attorney on your side to help make this process go as smoothly as possible. Contact the Monmouth County divorce lawyers at the Law Office of Andrew A. Bestafka , Esq., by calling 732-898-2378 today. David Arquette has now filed divorce papers in order to end the marriage with his estranged wife, Courteney Cox. Arquette cited “irreconcilable differences” as the reason that their 13 year marriage will be coming to an end. The 40-year-old actor has not asked for child or spousal support, but has asked for joint legal custody. Arquette originally signed the divorce papers in March, but the decision to end the 13-year marriage allegedly did not come easy. According to the New York Daily News, the couple married in June 1999 after meeting on the set of the movie, ‘Scream’ and they share one child together. In October 2010, the couple announced their separation, but stated that they would remain amicable. If you are considering a divorce, you need representation on your side that may be able to help you through this difficult time. Contact the Monmouth County divorce lawyers of the Law Office of Andrew A. Bestafka by calling 732-898-2378.